The days have grown shorter and the shadows long as you walk through leaves crunching underfoot and sense the first chill of winter in the crisp fall air. Pumpkins and creepy costumes abound, along with the scent of apple cinnamon spice and warm cider. 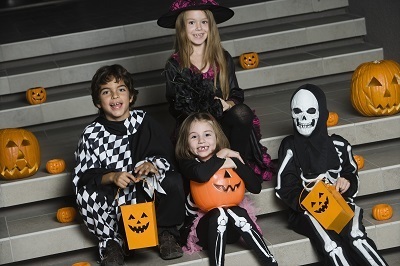 Trick or treats and scary movies all contribute to the spooky nature of this holiday, and a party is just the thing to get everyone in the Halloween mood. Combining the flavors and appealing scents of late autumn with the frights and chills of the holiday will create a bone-chilling event that will have your guests enjoying the thrills of the season. There are the old standbys of gross-out foods to make the kids shriek in delight as well as the chance to put that cinnamon to use in cupcakes, pie or anything else you can dream up for the scariest day of the year. All posts in "Halloween Party"